The newest generation of synthetc decking looks much more like real wood and has a much longer warranty. The Handyguys begin the show by talking about whats new in Synthetic decking. Composites versus PVC. While composite decking appear to be maintenance free, some manufactured decks become marred with mold, staining and deterioration. 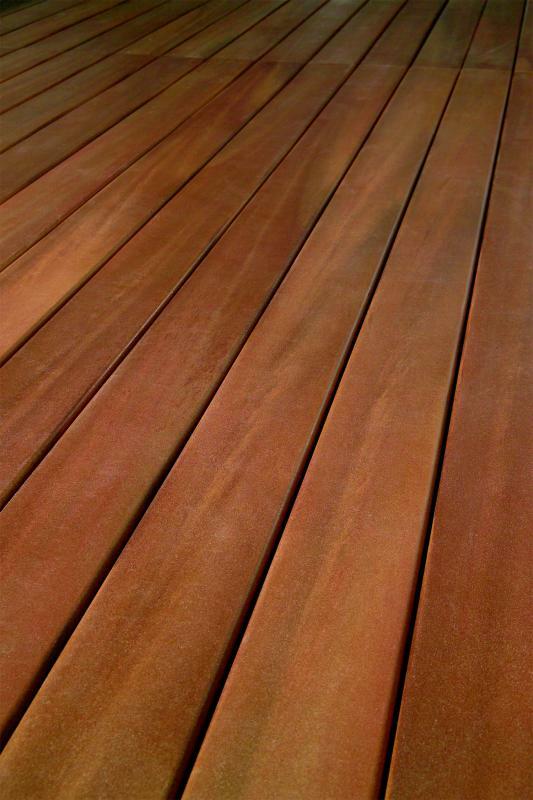 There are many newer synthetic decking materials that now have long warranties. One such synthetic decking material, with a 10 year warranty, is Fiberon. Making the decision to choose a synthetic deck versus a real wood deck can be daunting. What is your budget? What look do you want? Can you be careful about not staining the deck with a dropped hamburger or plate of buttered corn? We answered a question fromÂ JamesÂ regarding adding outlets to front and back porch and attic. James wrote us Hi guys, love the podcast. I’ve listened to every one so far. Quick question for you: We got our house last august, a 3 story, brick Victorian that will be 100 years old next year. It’s in surprisingly good shape, the home inspector thought so, and we agreed with him. Our only problem was the electrical system. They still had some active knob and tube wiring in the home and the insurance company refused to insure it until it was updated. The owners agreed to update it to a 100 amp service, we asked about upgrading it to 200 and we would split the difference, but the electrician wanted $2000 extra so we went with the 100 amp. Anyway to make a long story short (I know, TOO LATE!) There are 3 places where there’s little or no electricity. 2 of the places are on the front and back porches. There are outlets inside the house where I’d want to place outlets on the outside, and from what I understand from reading online, you just (after turning off the electricity) take the outlet out on the inside, drill a hole to the outside, run the wiring, splice it in, mount the box? Sound about right? What size hole would you recommend? Any other thoughts would be welcome. Third location is in the attic, there’s a light fixture, basically a bulb hanging from a wire, but no outlets. I wouldn’t be running anything heavy duty up there, beside the light, maybe a fan, radio, and/or my son’s slot car track. I was thinking of mounting a junction box onto the wires to the light fixture and then running some surface mount boxes, one on each end of the attic. Any thoughts on this? I don’t want to end up on one of your “DIY costly mistakes” episodes, so any help and advice you could give would be greatly appreciated. We discuss Jame’s issue during the show. The one issue James didn’t mention is how much load is on the circuits he wants to extend. If there are not too many outlets on the circuits in question, he can extend the outlets inside the house to he porch as he suggests. A GFCI will be required outside. James could use a surface mount box or a recessed box. James – Determine if a licensed electrician is required to do the work in your and follow all local codes and permit processes. For the attic, same issue of not overloading the circuit applies. If you have enough juice, you can certainly add some outlets. However, without more detail about the space (finished or not finished? ), it would be difficult for me to provide more explanation. You may need to run wires in conduit if it is exposed to contact/abuse. You may run it by a local electrician to make sure everything is up to snuff. If James can get a new circuit, wire, back to his new panel then it would be ideal. Same for the porch outlets. Adding a new circuit will ensure you are not overloading anything. What do you do when retrofitting an older house and the boxes too shallow to fit a GFCI? Well, you could change the box to a bigger one. This can be a challenge when you are trying to avoid damage to plaster, tile or wallpaper. They sell box extenders at the home center. Those box extenders are designed for when you add tile. They are not meant to be seen. Handyguy Paul found an interesting solution. 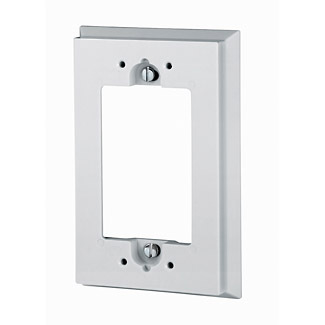 Extended wall plates. These plates gove you the extra room you need and have a finished look. You can get the in our Amazon Affiliate store. The Handyguys addressed some methods for adding a GFCI outlet where there is only a shallow electrical box. This post sponsored by http://www.erento.co.uk/ Whatever the magnitude or complexity of the project you wish to undertake, online tool hire will provide you necessary tools and equipment. I handle interactive and internet services at Fiberon. You’re right to point out the fact that it’s not accurate to equate synthetic decking products with NO maintenance. This is a common misconception. Composite, PVC and synthetic decks don’t need to be sanded, sealed or stained but they will need an occasional cleaning to continue to look good. The best thing a deck owner can do (with any deck material) is to make sure you periodically blow or sweep off loose organic debris and give it a good cleaning with an environmentally responsible cleaner once or twice a year. Fiberon Horizon Decking is the composite decking product that we’ve put our 10 year stain and fade warranty on. This product also comes with our standard 20-year performance warranty. The stain and fade resistance are due to a patent pending technology called PermaTech that encases the composite material with an outer coating that is especially stain and fade resistant. Horizon decking comes in 4 solid colors with a deep wood emboss and really soon we’re launching Horizon Tropics, a multi-chromatic product that utilizes the same PermaTech technology but with the rich look of tropical hardwoods (but that’s a secret :)). We also offer Fiberon Sensibuilt PVC decking with a limited lifetime performance warranty and a 10-year stain and fade warranty. Sensibuilt has it’s own unique surface technology offering stain and fade resistance. These are some great looking products that offer the next generation in performance for composite and PVC decking. You can check out our web site.. Thanks Marc – Good info for our readers and listeners. Hey, great post, really well written. You should write more about this. I’ll definitely be subscribing.